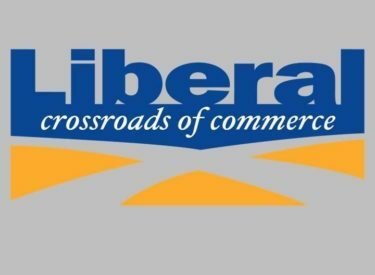 The Liberal City Commission met Tuesday evening and after items from citizens approved an agreement with the FAA that had been worked out with former City Attorney Shirla McQueen to bring closure to the land sale issue regarding the sale of the 7th Street property. In the agreement, the City was given credits for monies spent out of the General Fund and one cent sales tax, on the airport for different projects to improve the airport. This brings closure to the issue between the City and the FAA on the sale of the property and the amount to be deposited into the land sale account. The agreement had been worked out in August of 2017, with the details put together and the FAA giving it final approval in an email to Ms. McQueen dated January 19. The Commission tabled the rock project on North Kansas Avenue pending additional research on other option for the medians, heard a report on flood control, additional options, and a FEMA Grant application from City Engineer Pete Earles, and approved moving forward with National Beef on exploring the possibility of a combined wastewater treatment plant. The Commission approved Recreation Online Software in the amount of $7,875.00 appointed Pierre LaMont to the Housing Authority Board, and approved the expenditure of $9,388.35 to the League of Kansas Municipalities to aid in the search for a City Manager. They also approved an additional amount not to exceed $1,800 for the advertising portion of the search. The City Commission has been invited to attend the Seward County Council of Governments meeting Thursday morning.